dora films was created to fulfill a desire for films. Our catalog is comprised of more than 50 films, primarily documentaries. We regularly update this online catalogue on our website. dora films association conducts its activity in Video editing (EDV 2257) and the development of our DVD catalogue, which is widely distributed in multimedia libraries throughout France. dora films sas was founded in 2011. This company, whose chairman is Daniel Coche, has a capital of 25,000 €. This new structure was created at the request of partners who wished to further establish our production company. 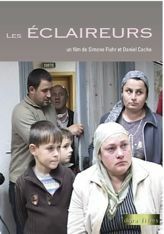 In 2011 dora films SAS produced the film The Shining Stars, directed by Simone Fluhr and Daniel Coche. 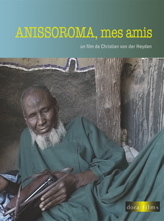 In 2012, we produced : These from Maflo, a documentary film by Aline Battaglia, in coproduction with Mosaïk TV and Vosges Télévision Images Plus. In 2013, we produced : Portraits of a Woman gone, a documentary film by Frédéric Goldbronn, in coproduction with Télé Bocal. 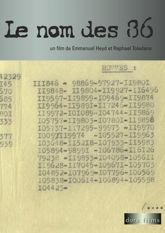 In 2014, we produced : The Name of the 86, a documentary film by Emmanuel Heyd and Raphael Toledano in coproduction with Alsace 20 and Télébocal. And also A Little Spark, a documentary film by Simone Fluhr and Daniel Coche. 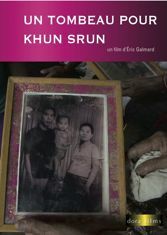 In 2015, we produced : A Tomb for Khun Srun, a documentary film by Eric Galmard in coproduction with Télébocal. In 2016, we produced : Shores a documentary film by Simone Fluhr in coproduction with Alsace 20 and Vosges Télévision. In 2019, we produced : Dreams in Progress a documentary film by Hélène Rastegar in coproduction with Alsace 20 and Vosges Télévision. dora films is supported for our productions by ACMISA, ACSE, Agence culturelle d'Alsace, Angoa, Centre National du Cinéma et de l'image animée, Centre National du Livre, Conseil départemental du Bas-Rhin, DRAC Alsace, Fondaçao cultural de Joinville, Fondation Matanel, Fondation pour la Mémoire de la Shoah, Ministère de la Jeunesse et des Sports, Procirep, Programme Média, Région Bourgogne Franche-Comté, Région Grand Est, SACEM, Strasbourg Eurométropole, Towns councils of Steinbourg, Strasbourg, Wissembourg.